"1979 Lilley Cornett Woods Overstory Data" by Ryan W. McEwan, Julia I. Chapman et al. 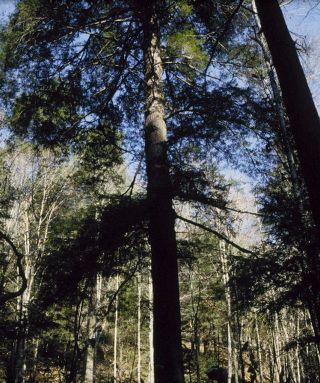 Data collected in 1979 on the overstory in the Big Everidge Hollow portion of the Lilley Cornett Woods Appalachian Ecological Research Station in southeastern Kentucky. Data key is provided in a supplemental file. Accompanying photo by Julia I. Chapman. NOTE: The 1999 data is missing plot 73 (SL03) because the plot stake could not be located that year.